Rob started his Sedation career in 2003 after years suffering with his own dental phobia. 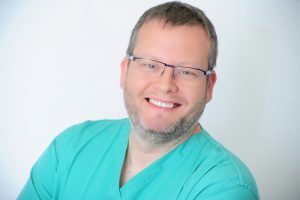 Since introducing sedation to his practice and patients in Eastbourne, he set up the Dental Phobia Clinic in Brighton, within six months filling his diary 4 days a week with IV sedation patients. He continued his sedation work up an Stratford Dental to which he is still linked. He also provided sedation at Cotswold Dental Wellness in Chipping Norton and others. Up to 2017 he has carried out over 3000 IV sedation procedures purely with Midazolam. He’s also done numerous Intranasal and Oral sedation procedures as well as over 300 RA cases. in 2018 he set up Midlands Dental Sedation Services to work full time as a sedationist. Using his dental and sedation experience, he is able to advise on techniques to help the dentist treat the patients with less stress for both!